Downtown Los Angeles has been going crazy with triple net retail, restaurant, office and multiunit residential development unlike any time in the last 100 years. Plus, it shows no sign of slowing, although rent growth is unlikely to be as robust as it’s been due to the huge new inventory coming online. LA Needs some rent relief. 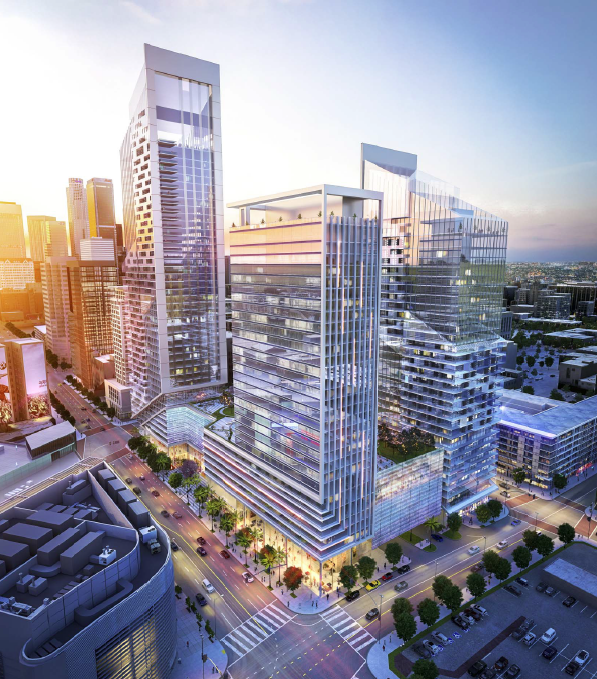 Three massive mixed use projects are in various stages of construction with the closest to being complete, the 1,100′ Wilshire Grand, set to be completed in a few months with 900 hotel rooms plus office space. 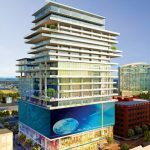 At 899 Francisco Street, developer Greenland Group is constructing the Metropolis with 1,910 hotel rooms and condos in four high rise towers. Ground floor los Angeles triple net retail for lease will be part of it. It’s still too early to talk about the net leased retail space until the end of this year. This new inventory couldn’t make Los Angeles commercial realtors, brokers and agents any happier. 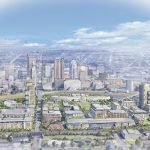 With the next few blocks are five new towers with 1,152 high end residential apartments, 184 hotel rooms and a combined 214,000 square feet of net leased retail and restaurant space. According to LA Times, 42 projects of at least 50,000 square feet have been built with 37 large projects under construction in downtown Los Angeles. Across the street will be a joint project of Jamison Services and Hankey Investments for two 35 story towers with 648 luxury apartments and 48,000 square feet of triple net retail and restaurant space for DTLA, downtown Los Angeles. There are many other major developments in downtown LA, South park and the Arts District. For prospective commercial tenants, get ready as much of the new space is available now so call your favorite Los Angeles commercial real estate agent and get a lease in place and open for business. If you’re not working with anyone, I’m of course available for your Los Angeles leasing needs. Call me, Scott Harris Realtor, at 310-473-4789.